Real estate business will be more challenging in 2018. Whether you are running a small company or work as an individual real estate agent, you need to have an eye-catching website. This is the easiest way to connect with your clients. Thanks to WordPress themes developers because you can build a fantastic site with very little money with any coding knowledge. Here, we list best real estate WordPress themes to create a real estate website quickly. These best real estate WordPress themes come with special features and functions required in a real estate websites. Themes are including advanced search functionality, custom property listing pages with property details, Google maps integration for property locations. 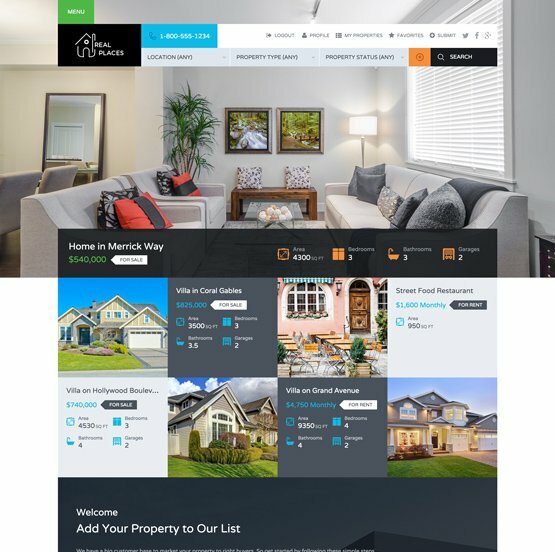 In addition, photo and video galleries, featured listing sections, agent profile pages, integrated blog, inbuilt methods to integrate property listings into your website. 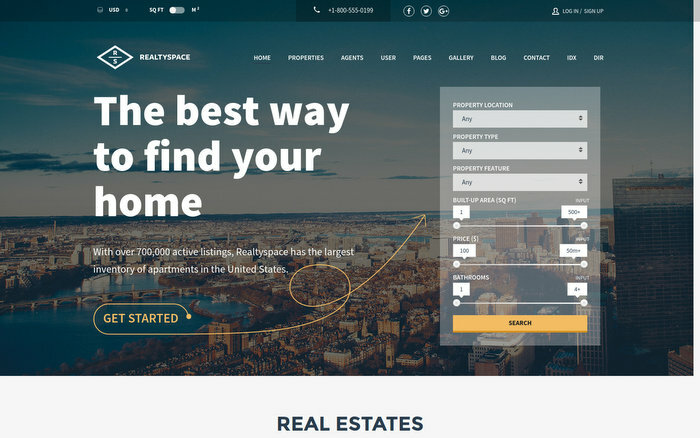 In this post, we are presenting 20 of the best real estate WordPress themes. 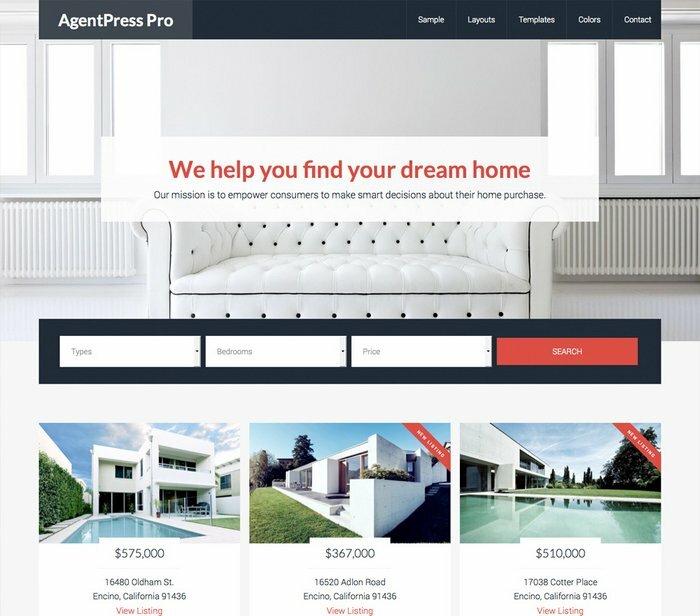 This real estate responsive WordPress theme designed in 2017 minded on latest trending things in the industry. The theme comes with major features and it lets you add easily every piece of information on the landing page. It has five homepage style so you can change which one like most and best suit for your business. 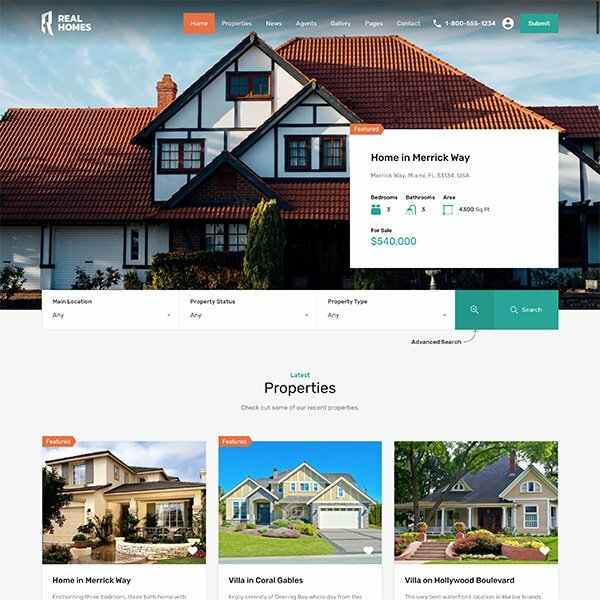 MyHome is the best real estate business template for 2018 and comes with six various homepage styles. It includes real estate website features such as property details, Agent profile, contact form, a map with nearby, virtual tour, property plans and more. Beyot is a beautiful premium WordPress theme for independent agents and agencies. There are 9 pre homepages come with one click install demo data options and support three global payment methods. The theme also has other amazing features like user management and submission via front and back end. 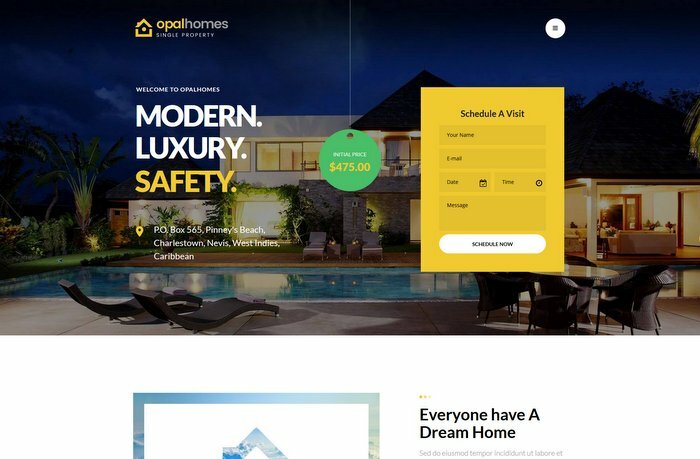 Opalhomes is the perfect real estate WP theme for single property sale & rental websites. Using this theme is the best way to introduce, sell luxury apartments, modern house, villa, office or rental service site. It has Slider Revolution plugin to show large background images on the front page. 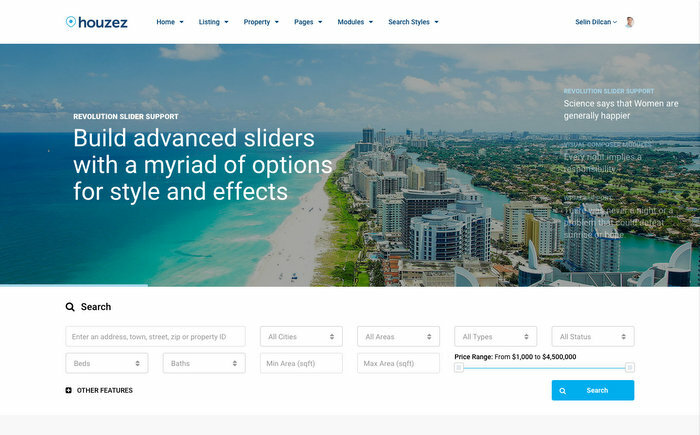 This is another beautiful real estate WordPress theme comes with more than 20 homepages demos. These features allow you to create a site within few hours. The theme has many handy features. For example, key features like in-built mortgage calculators, most intelligent and advanced search filters, geo-location search and Google suggestions. 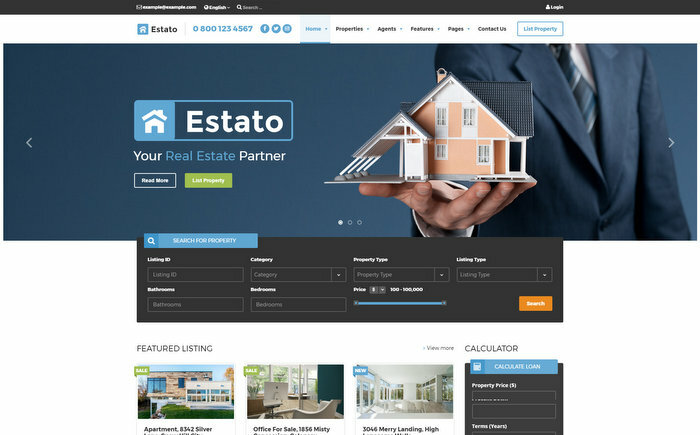 RBestate is another rich features bundled real estate WordPress theme. It contains key features like properties search, google map with properties markers, front end property submit, dsIDXpress IDX plugin, compare properties, and RTL support. 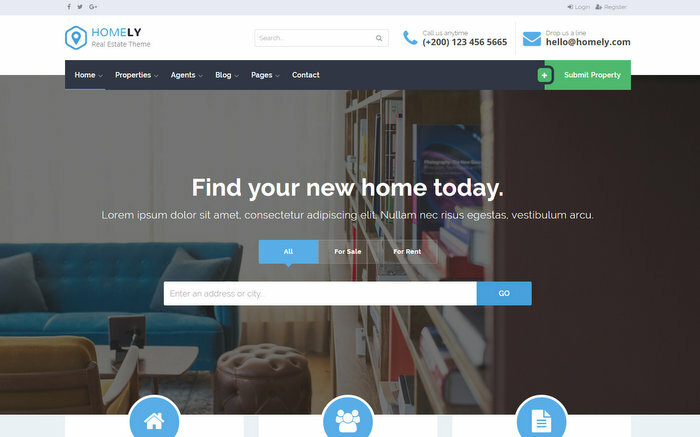 Homely is another mobile-friendly real estate WordPress theme for whether a large robust property listing sites or local real estate agencies websites. It also comes with pre-made templates for creating the site and match modules to create unique pages. 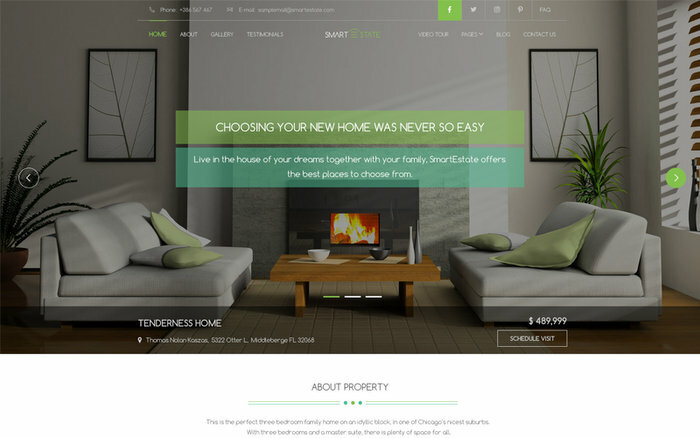 Smart Estate is another sleek single property theme for a real estate agent and small business. You can import the demo template data and choose from a selection crafted home pages that are created for a single property sale or rent. 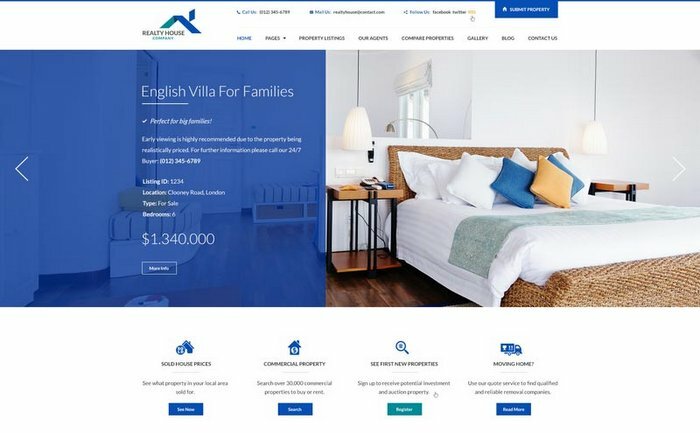 Apushome theme contains six different homepage layouts and a drag-and-drop page builder to build the custom real estate website your business needs. 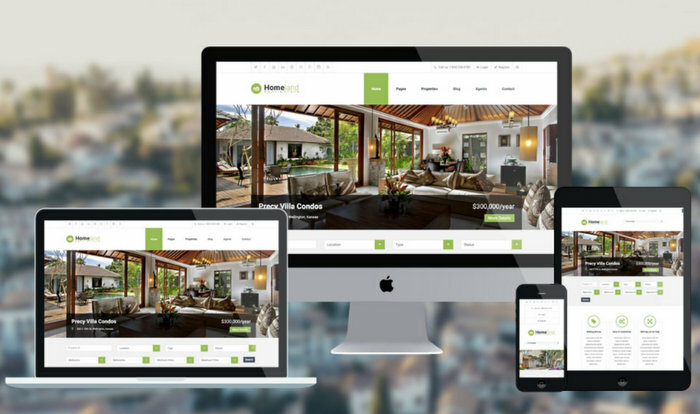 WP Residence is a premium theme for both independent agents and property agencies business. There are 12 pre-made demos available to get you started listing your property in few minutes. Real Homes is the best selling real estate WordPress theme on ThemeForest. It offers many useful features a real estate website needs and free supports like other premium themes. Houzez is another popular professional WordPress theme for the real estate business sites. It includes property management system to maintain a real estate marketplace, coordinate your agents, accept submissions. Homeland is a clean and modern design theme for real estate company. It has three theme layouts to choose from Full Width, Boxed and Boxed Left. 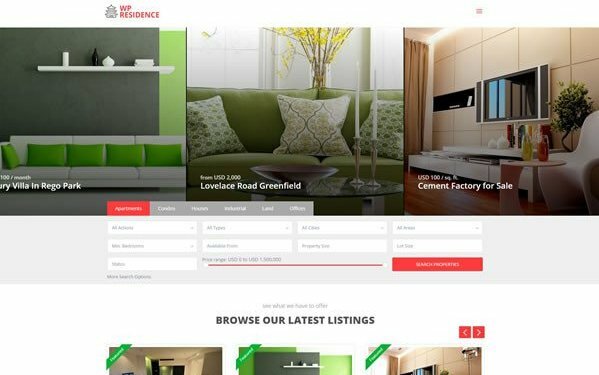 This theme simple and powerful features make your life easier and quicker in making in single property sale & rental websites. It includes pre-packed with a drag and drop page builder. So that you can easily move/change/edit your layout the way you like.